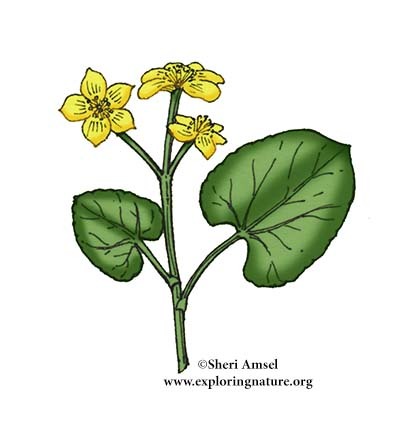 They are found in wet fields, woods and swamps. 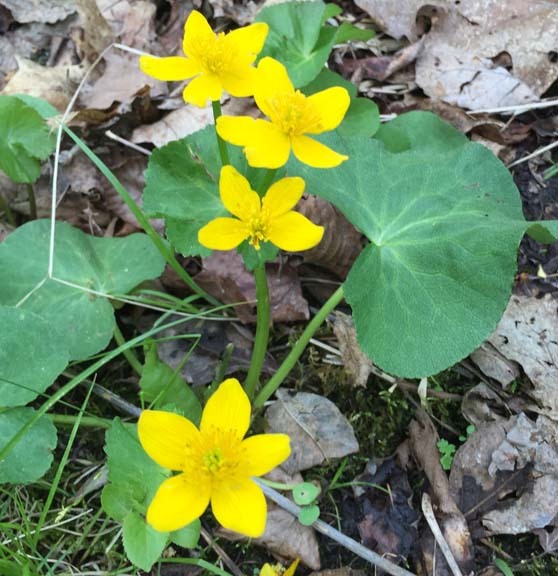 They are bright yellow (these are actually the sepals and not the petals) with heart-shaped, slightly toothed leaves. They have long stalks. They bloom in the spring.